Get organized. Keep on top of personal and team tasks from any web connected PC, Mac or mobile devices. 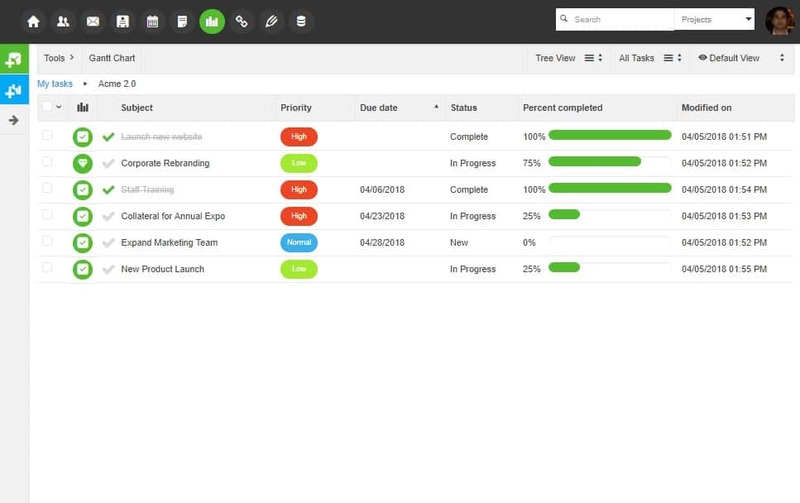 Get to-do lists, team project scheduling and more! You can import and synchronize tasks with Microsoft Outlook using the HyperOffice Outlook Sync Tool. You can also export tasks to a spreadsheet program such as Excel. 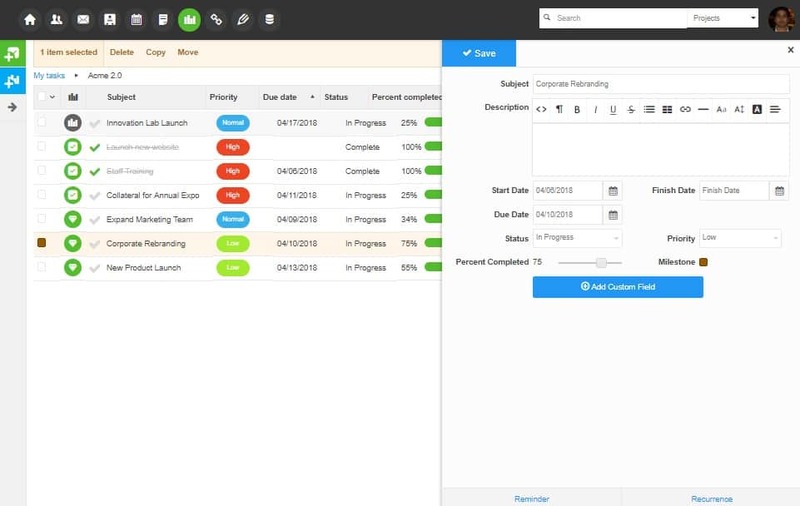 You can easily sort and filter projects and tasks by key elements such as subject, due date, status, and priority. Additionally, use our convenient Gantt chart to display project milestones and bring projects into perspective.